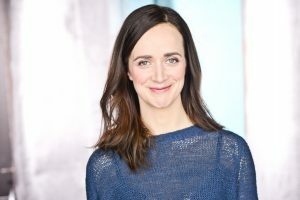 Born and raised on the Island, Charlotte has been performing, directing and teaching at theatres across Canada and internationally for the past 20 years. She is a graduate of the National Theatre School of Canada’s acting program, the Stratford Festival’s directing program, and trained extensively as a performer at Ecole Philippe Gaulier in Paris, France. Her work includes multiple seasons at the Stratford Festival and Shaw Festival, shows at Canadian Stage, National Arts Centre, Manitoba Theatre Centre, Thousand Islands Playhouse, Tarragon Theatre, Factory Theatre, The Grand Theatre, St. Lawrence Shakespeare Festival, Neptune Theatre and the Blyth Festival, among many others. Charlotte is an Artistic Advisor for the National Arts Centre, English Theatre, she is an Associate Artist and core member of Troubadour Theatre Collective in London, and she spent two years as the Associate Artistic Director of the Thousand Islands Playhouse where she also led the TIP Young Company on two, province-wide touring shows. She is a professor of acting in the music theatre department at Sheridan College and a professor of clown for the theatre conservatory at Fanshawe College. Charlotte is also a guest instructor at schools across the globe including Queen’s University (Kingston), Wheaton College (Boston), Holland College’s SOPA program, UPEI, and at Unversidad Andres Bello (Santiago, Chile). Last summer Charlotte had the great pleasure of directing “Myth of the Ostrich” for Victoria Playhouse, which received rave reviews and much success at the box office. Having grown up on the island, Charlotte caught the performance bug early as a dancer at Dance Umbrella in Charlottetown and playing violin for the Singing Strings.